Recorded live, SHOUT PRAISES! 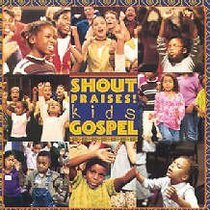 KIDS GOSPEL follows in the success of the best-selling SHOUT TO THE LORD KIDS CDs. This album takes kids' praise to the next level with high-energy worship, awesome grooves, and anointed children leading worship with 13 contemporary Gospel songs like Israel Houghton's 'You Are Good,' and popular worship favourites like 'Shout To The Lord,' and 'Lord, I Lift Your Name On High.' - Publisher. About "Shout Praises! Kids Gospel"